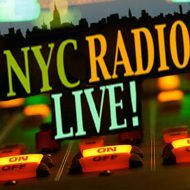 I feel like this recording is as good anything I’ve produced for radio. This podcast is a live performance from Kora legend Foday Musa Suso. Suso is most known in the West from his collaborations with Phillip Glass, Herbie Hancock, Paul Simon, Pharaoh Sanders, Jack DeJohnette and countless others. Foday Musa Suso is an internationally recognized musician and a Mandingo griot from the West African nation of Gambia. Griots are the oral historians and musicians of the Mandingo people, who live in several West African nations. Griots are a living library for the community, providing history, entertainment, and wisdom while playing and singing their songs. The history of empires and kingdoms, tribal conflicts, cultural heroes, and family lineage are all part of a griot’s traditional repertoire. It is an extensive verbal and musical heritage that can only be passed down within a griot family. After many years of rigorous study, in 1974 Foday spent 3 years teaching the kora at the Institute of African Studies at the University of Legon, Ghana. In 1977, he moved to Chicago and became the first kora player to establish himself in the United States. He formed The Mandingo Griot Society with 3 American musicians, playing a fusion of traditional and jazz that is now known as “world music”. Since 1977, he has performed as a soloist and with other musicians throughout Africa, Asia, Europe, North and South America. Interested in both traditional and cutting-edge music, he has also written many original compositions, toured and recorded with many prominent musicians. 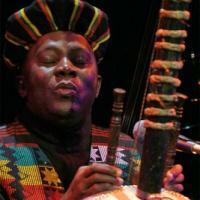 In addition to his virtuosic kora playing and singing, Foday Musa Suso is very skilled in playing traditional West African drums, as well as many other instruments.